When you read shelter mags and design blogs and browse Pinterest, it’s easy to want to replace everything and redecorate your home with new things, but a fresh look is often just a matter of reinventing what you already have. 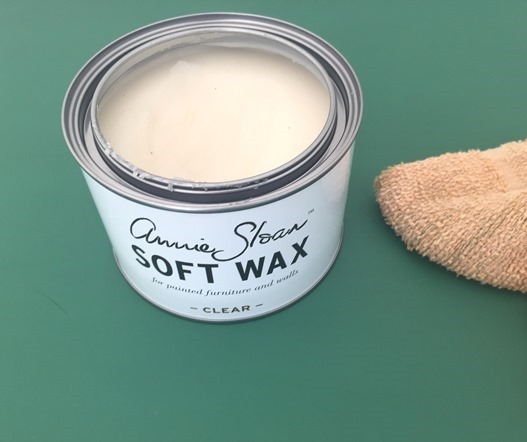 A good cleaning and a fresh coat of paint time and again has come to my rescue as one of the most budget friendly makeover tools. There’s a satisfaction that comes looking at a piece with new eyes and reinventing it rather than tossing it out. I was asked by Annie Sloan to share their current #MadeItMyOwn contest and giveaway now through September 30th. 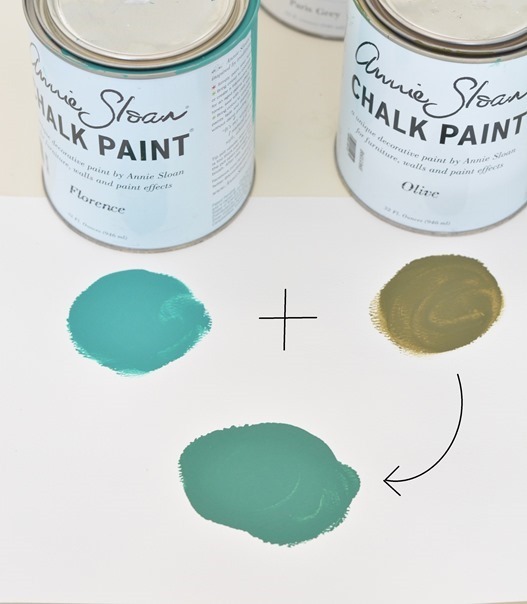 I’ve worked with Chalk Paint® by Annie Sloan for years and have a stash of several quarts in my paint cupboard, it’s one of my favorite paints for furniture. I call it the lazy gal (or guy’s) paint since it’s so easy to grab and start painting in place, just lay down a tarp, pop open the can and go to work. No priming (yay!) and no odor so it’s easy to work with indoors. I spent last Saturday painting a few pieces, two for myself one for my MIL. 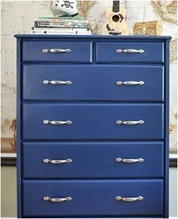 I’ve had a plain dresser in my entry for years, I found it at a thrift store, stripped and stained it many moons ago. 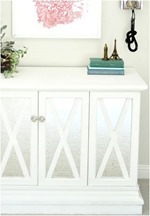 I like it because it fills the narrow space and stores office and school supplies. 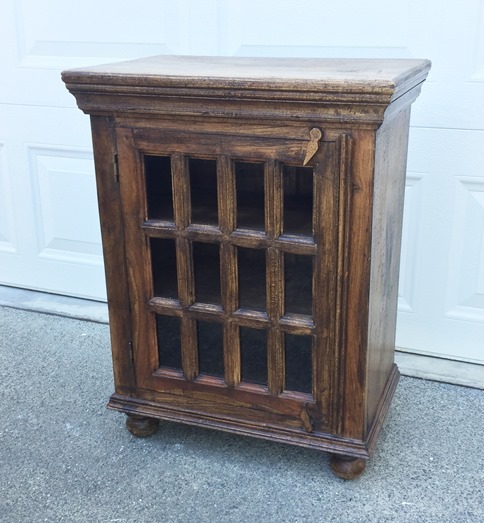 The dark wood works for our traditional entry but it was feeling very blah to me all one shade of brown and with very plain knobs. 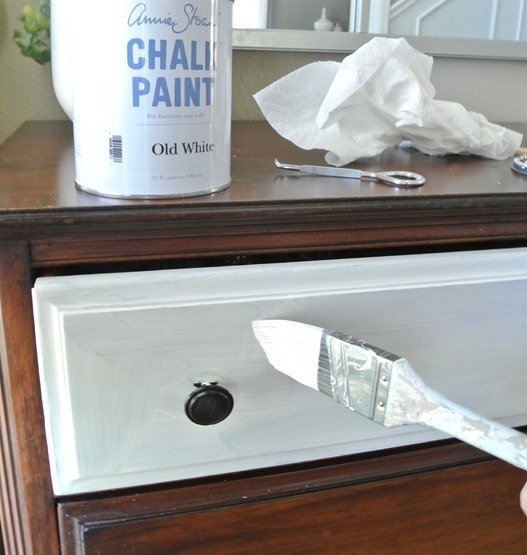 I gave the drawers two coats of Chalk Paint® by Annie Sloan in Old White then substituted the old knobs with inexpensive geode knobs at World Market. I also changed the silver finish on the mirror to gold with the help of paint and gold leaf found at a craft store. 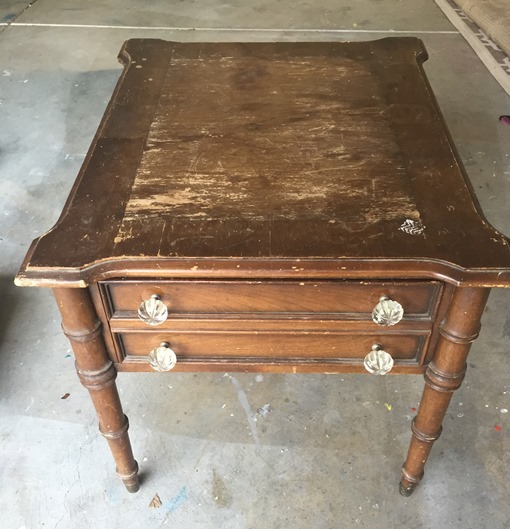 This old end table was given to me by a friend, it sat in his garage and he was getting rid of it, but I loved the classic lines, the leg detail, and the fact it was finished on all four sides. Sadly the top was in very bad shape. 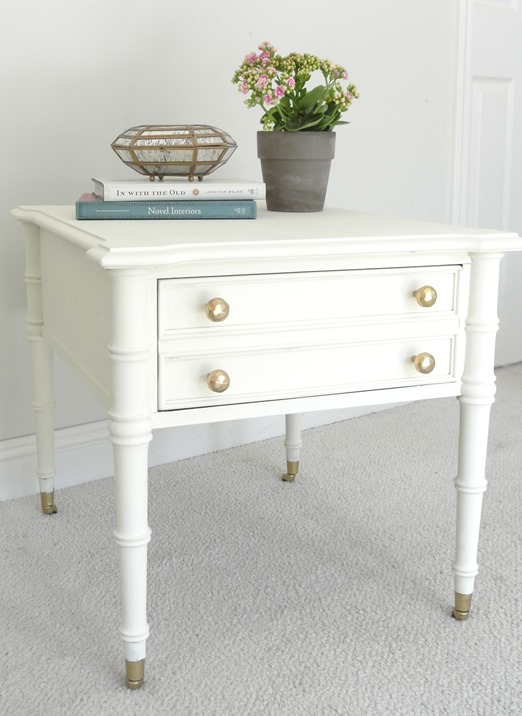 I needed a new end table for our family room when our new sectional sofa arrives in two weeks, this one is the perfect shape and with a drawer it will hold remotes. 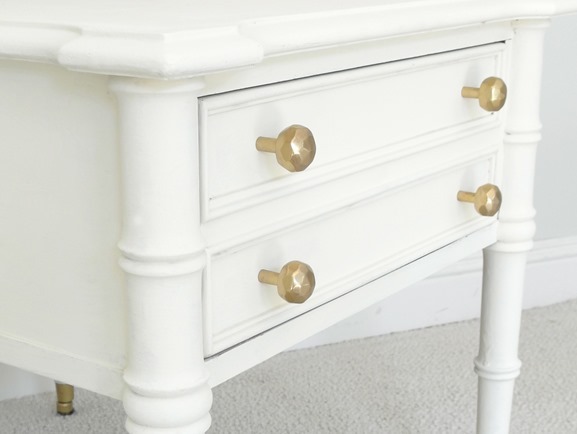 I sanded it and gave it two coats of Chalk Paint® by Annie Sloan again in Old White then painted its toes with gold leaf paint. You can’t go wrong with a white + gold combination, it’s always chic! I also found these faceted gold knobs at World Market for $4 each. 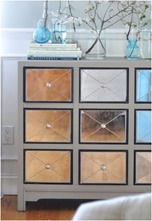 I think anything looks great with a coat of white paint but there are dozens of other colors to play with. Find your local stockist here. 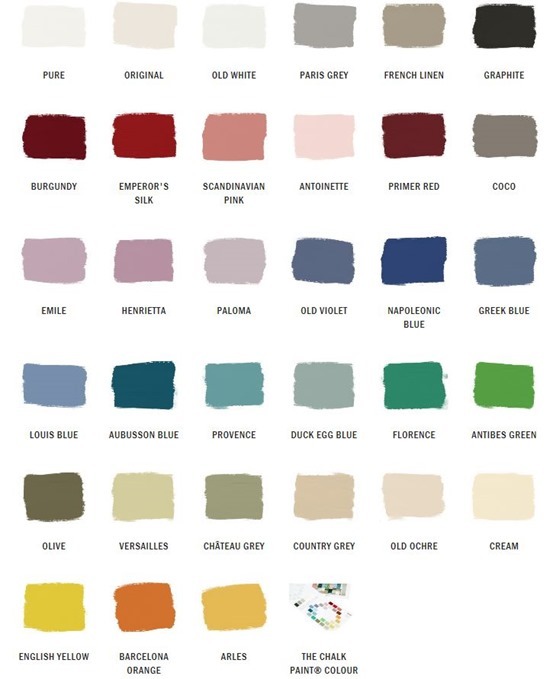 Of course you can mix the paints to create your own custom color which is what I did. 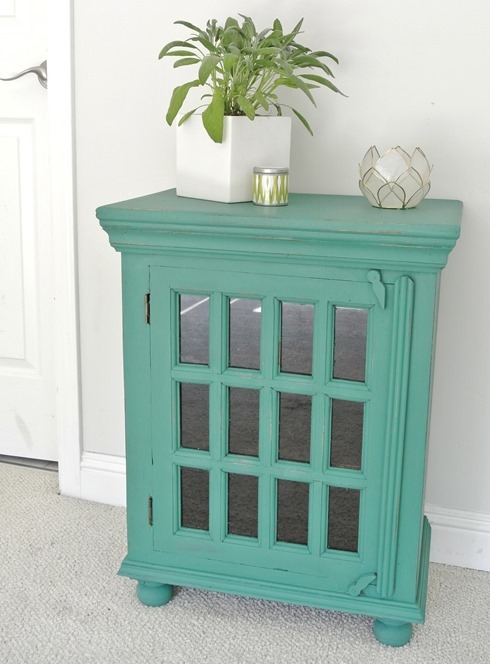 My mother in law had an old cabinet where she stores her candles in a corner of her office, she wanted to paint it something vivid and fun so I suggested jade green. I mixed three parts Florence with two parts Olive to create the color. 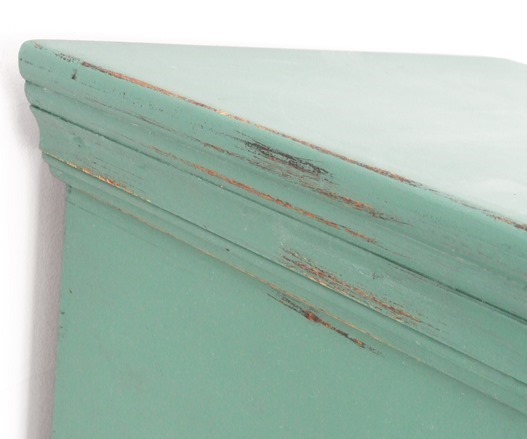 I mildly distressed the cabinet by sanding away some of the paint on the edges to reveal the wood underneath. All three pieces were given a coat of Clear Wax to protect the paint, this piece is headed back to my MIL’s house on her next visit. 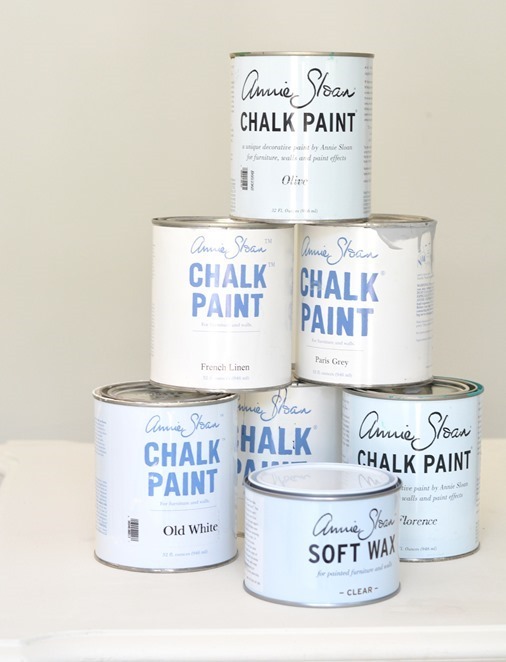 More Chalk Paint® by Annie Sloan projects from the archives!